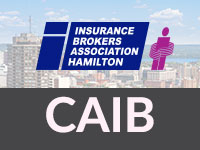 The Insurance Brokers Association of Hamilton (IBAH) invites you to join us on May 30, 2019, at 33 Bowen in Hamilton for our first ever Broker Bash sponsored by FIRST Insurance Funding of Canada! SAVE THE DATE! On August 22, 2019, we are hosting our Annual Golf Tournament. 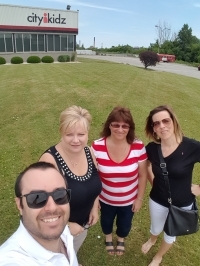 If you are looking to increase your business, then you should consider advertising with us - the Insurance Brokers Association of Hamilton! 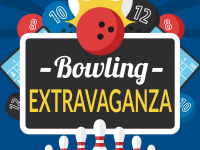 The Insurance Brokers Association of Hamilton (IBAH) invites you to join us for the Third Annual Family Fun Bowling Extravaganza in Hamilton, Ontario on February 23, 2019. The Insurance Brokers Association is an active supporter of CityKidz and we recently had the privilege of visiting their New Facility. Are you thinking of completing the CAIB 3 Course? Well good news, IBAH offers a CAIB Level 3 Course. Thank you to everyone who joined us for our Holiday Mix & Mingle Event on November 29, we had a blast and we hope you did as well. Check out the event photo gallery! We encourage everyone to join us at our upcoming luncheon on February 13, 2019, as we welcome Tom Reikman B.Sc., MBA, CIP, Senior VP & Chief Distribution Officer, Economical.